Kingdom Hearts: Why are we still fans? It’s been quite an eventful year for me. So many new video game announcements! I should really have no lack of material for this blog here. That’s why since January I’ve made a total of… five posts. Wait. Kingdom Hearts. That’s it! How is it that such a ridiculous concept has managed to keep its fans invested for 13 long years? And why am I still one of them? Yes, there’s no other video game series quite like Kingdom Hearts. This is not necessarily a good thing. I’m still debating on that myself. But let’s start at the beginning here. 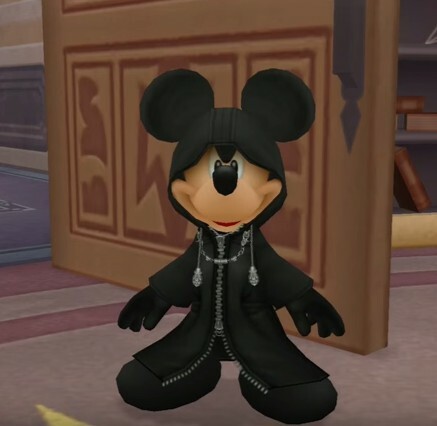 Kingdom Hearts is essentially a giant crossover series between two franchises. 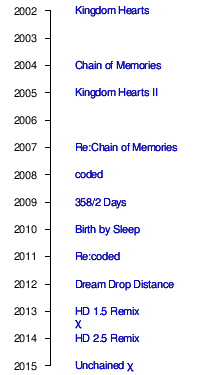 The first of these is Square Enix, that behemoth of JRPGs. I’ve written about them a number of times in my Final Fantasy posts. The second franchise is Disney. Yes, you can play as Mickey Mouse at one point. He’s one of the series’ key characters. And yeah, no one thought it was going to work. Disney and Final Fantasy characters in the same game? Ridiculous. No one thought it would turn into one of Square Enix’s biggest cash cows. No one thought it would catapult former character designer Tetsuya Nomura into, uh… well, let’s just go with fame. I’ve talked a bit about Nomura before; he’s the guy directing the Final Fantasy VII remake, and a very big name in Square Enix. It’s rare for a video game director to have such a presence over their work, but Tetsuya Nomura absolutely does it. And Kingdom Hearts is Nomura at its pure Nomura-est. Disney doesn’t promote Kingdom Hearts all that much in the West. I wonder why? Now. Bonkers plots are not a new thing in JRPGs. Take Chrono Cross, where you switch bodies with your alternate dimension cat monster father and end up getting your body back by giving birth to yourself using a magic dragon crystal. 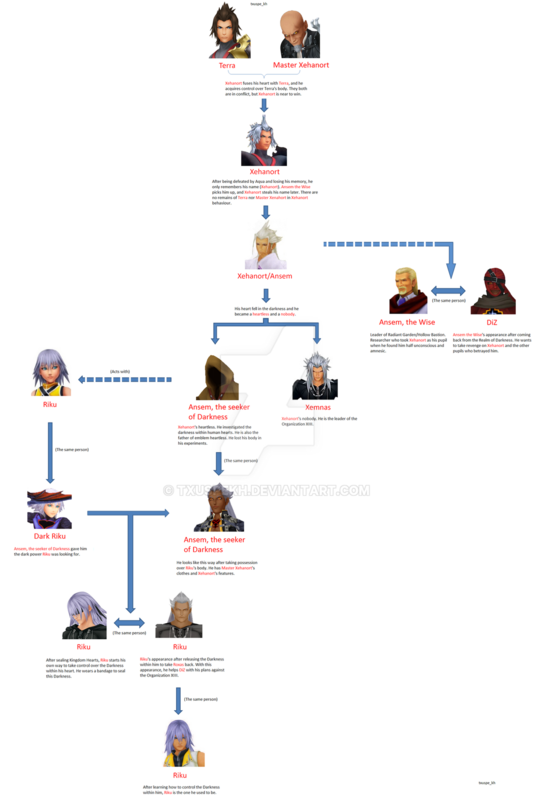 The problem with Kingdom Hearts is not that the plot is insane; it’s that it’s insane, incredibly complex, missing key bits of information, and spread across 13 years and seven* different games. On five different systems. Kingdom Hearts II came out four years after the release of the first game. What more casual fans didn’t know at the time was that another game had come out in between them. It was just a little side game for a handheld system, which in these kinds of long-running series are usually nothing more than some cheap gameplay slapped together for the devs to grab some extra cash. So what did you miss by not playing that little side game? Oh, not much… just the entire setup for everything that happens in Kingdom Hearts II. No big deal. To top that off, the prologue for Kingdom Hearts II was deliberately designed to be confusing and alienating. Add not knowing how the whole story started to begin with, and you ended up with a lot of very confused players. Now imagine the same thing happening with the release of Kingdom Hearts III next year. Only instead of a four-year gap and one side game that you had to play to understand the plot, it’s going to be a 10-year gap and four side games that you had to play to understand the plot. Basically, if you’ve only played Kingdom Hearts I and II, you will have absolutely no idea what’s going on in III whatsoever. And I’m not just talking like, “Hey, why’s that one villain alive and a good guy now?” I’m talking about the entire central mythology and overarching plot of the series. But this video explains the problem here way better than I can. Some detractors say that Kingdom Hearts’s plot does things that should never be in a video game. That the gameplay is completely irrelevant, just serving as a springboard for the insanity. That Nomura is just throwing in whatever he thinks is cool and coming up with justifications and retcons later. This is all stuff that I agree with. And yet, every time I try to give up in disgust, Kingdom Hearts manages to drag me back. Because there is payoff. It’s the building complexity between light and dark, good and evil. It’s the slow-but-sure character development. It’s the triumph of figuring out some tangles in the timeline, and the joy and sadness of going back to older games with an entirely different impression of what’s going on. You have to dive real deep to get it, but it’s there, and it’s fantastic. It’s just, well, people don’t always have the time and energy to get invested into something so gigantic. And that is Kingdom Hearts’ greatest weakness. To their credit, Square Enix has actually realized that newcomers are going to need some help, which is why they recently re-released most of the series in several HD collections. But I feel it’s too little, too late for that. And have fun getting to beat up all the Disney villains that made your childhood miserable. I’m talking to you, Scar.